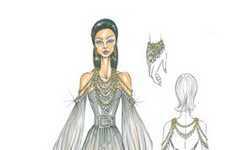 Taking a cue from Disney film Aladdin, this Miss Universe pageant costume is genie-inspired. 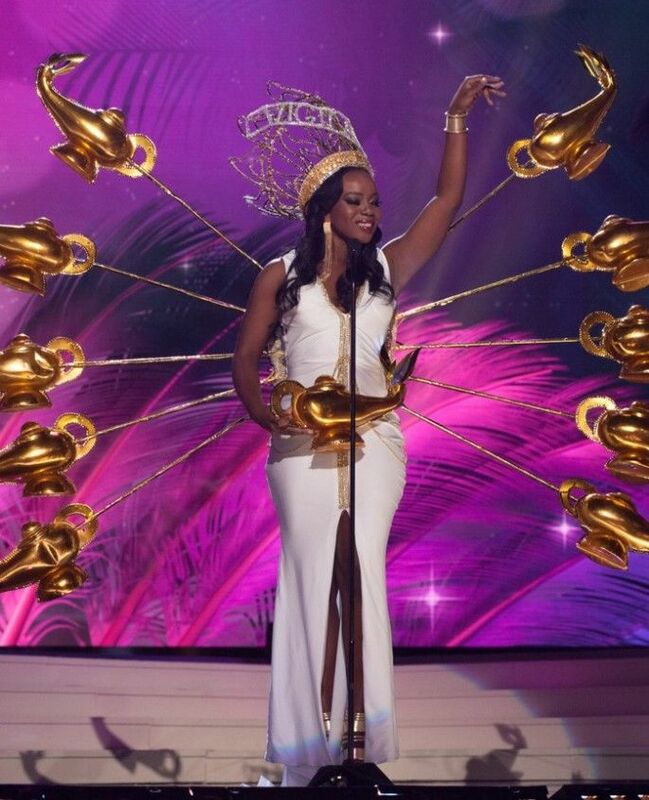 The opulent ensemble was worn by the event's British Virgin Islands contestant who donned a fitted white gown that she accented with several gold lamps. Her genie-inspired look was more tropical than it was Arabian Nights-themed and celebrated her heritage in a unique way. While the Miss Universe contestant's gown was suggestive and body-conscious, her lamp accessories resembled peacock feathers and gave her a more theatrical look. This Miss Universe pageant costume stood out among the evening's other cultural ensembles. The event's 88 contestants made a splash during the evening's costume portion this past Wednesday. Their artistic and cultural fashions commanded the attention of viewers and pageant fans alike.